Customer demands on products are continuously growing. Twenty years ago functionality and usability were in focus for manufacturers. Today lifestyle factors are increasingly expressed using iconic artefacts such as mobile phones, entertainment electronics, cars, etc . More and more physical products are becoming part of system uniting physical product with service aspects. Apple’s IPhone is a successful example of this emerging group of products. Designing good user experience into these systems is the future challenge of product developers. Traditional product development methods are not able to cope with those demands. The arising new field of research is often referred to as “emotional design/engineering” or “affective product development”. One of the most promising methods within this area is Kansei Engineering. Kansei Engineering was developed in the 1970ies in Japan. Its original purpose was to improve the affective perception of Japanese brands in oversea markets (USA, Europe). In the 1980ies it was applied in product development and one of the most famous Kansei products is the Mazda Miata. In 1999 a research group at Linköping University started working with Kansei Engineering in Europe. The method had to altered for Western purposes and was applied in Cars, Trucks, Medical Care products, Furniture, Food products and Electronics. In this talk methods and tools in Kansei Engineering will be presented as well as sample products developed using Kansei Engineering methodology. Description: Simon Schütte is a mechanical engineer and graduated at the “Technische University of Braunschweig”, Germany in 2000. He worked for Volvo Truck Cooperation in Gothenburg, Sweden as a development engineer for gearboxes. There he became an expert for affective optimization of “driving feeling”. 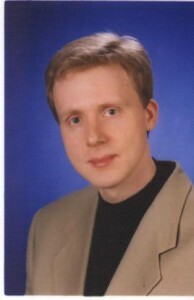 Later he moved to Linköping University where he presented his Ph.D. thesis in the area of “Human Systems Engineering” in 2005. The topic of the thesis is about integration of affective aspects into products. Schütte works today at the “Concept Realization Lab” at Linköping University in Sweden. His research area is Affective Product development and Kansei Engineering in particular. He is continuously involved in industrial projects of affective improvement of products in vehicle industry, consumer goods industry but also food industry and service business. Content creation for stereo 3D is a difficult art that requires mastering the complex interplay of human perception, 3D display technology and artistic intent. Mapping of the 3D world into the limited volume of a stereo 3D presentation, which is aesthetically pleasing, artistically meaningful, realistic or at least believable, and not over-stressing the audience, requires sophisticated technology and highly skilled operators. This talk will start with a summary of relevant basics of human 3D perception. It will relate those to principles and limitations of today’s 3D display systems. From that it will motivate rules of stereo 3D film making and other 3D content creation aspects, highlighting technical limitations and challenges. Finally, an overview of related research and results of Disney Research Zurich will be presented. 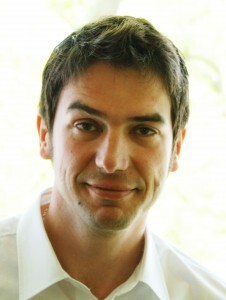 Dr. Aljosa Smolic joined Disney Research Zurich, Switzerland in 2009, as Senior Research Scientist and Head of the “Advanced Video Technology” group. Before he was Scientific Project Manager at the Fraunhofer Institute for Telecommunications, Heinrich-Hertz-Institut (HHI), Berlin, also heading a research group. He has been involved in several national and international research projects, where he conducted research in various fields of video processing, video coding, computer vision and computer graphics and published more than 100 referred papers in these fields. In current projects he is responsible for research in 2D video, 3D video and free viewpoint video processing and coding. He received the Dipl.-Ing. Degree in Electrical Engineering from the Technical University of Berlin, Germany in 1996, and the Dr.-Ing. Degree in Electrical Engineering and Information Technology from Aachen University of Technology (RWTH), Germany, in 2001. Dr. Smolic received the “Rudolf-Urtlel-Award” of the German Society for Technology in TV and Cinema (FKTG) for his dissertation in 2002. He is Area Editor for Signal Processing: Image Communication and served as Guest Editor for the Proceedings of the IEEE, IEEE Transactions on CSVT, IEEE Signal Processing Magazine, and other scientific journals. He chaired the MPEG ad hoc group on 3DAV pioneering standards for 3D video. In this context he also served as one of the Editors of the Multi-view Video Coding (MVC) standard. 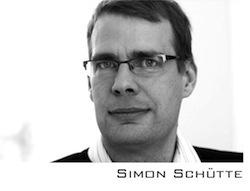 Since many years he is teaching full lecture courses on Multimedia Communications and other topics, now at ETH Zurich. Often, we tend to view quality of experience throught the glasses of our expertise. For compression experts, visible artefacts in online video hurt the experience just as much, as a bad choice of colours in the interface does for a visual person. In the end, this often leads to a situation where we don’t see the wood for the trees. In the keynote, Peter Purgathofer tries to change the perspective so that the larger problems – and maybe their solutions – can become visible. 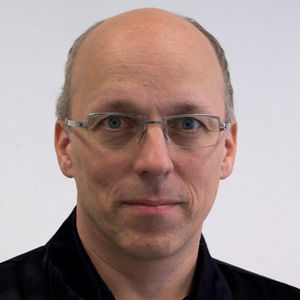 Peter Purgathofer is Associate Professor at the Faculty of Informatics, Vienna University of Technology. He is Coordinator for the Media Informatics Master Program, and has a long experience researching, reflecting and teaching Interaction Design/User Experience in theory and practice, in a wide array of fields reaching from bank POS terminals to digital games. In its Paris meeting, the JPEG committee decided to work on a backwards compatible extension of the popular JPEG (10918-1) standard enabling lossy and lossless coding of high-dynamic range (HDR) images; the new standard will allow legacy applications to decompress new codestreams into a tone mapped version of the HDR image while codecs aware of the extensions will decompress the stream with full dynamic range. However, traditional means to evaluate image quality are rarely suitable for this application: They are often only calibrated to low-dynamic ranges (LDR) of 8bpp and do not account for many aspects of HDR photography, as for example tone mapping or differences between the scene and the output colorspace. This talk will shortly introduce the new standard under development and then focus on the questions related to HDR quality evaluation. A review of the tenative steps taken by the committee towards a suitable definition of the JPEG XT core experiments will then be given. PhD in mathematical physics on edge and bulk Hall conductivity at the TU Berlin in 2000. Worked at Algovision Technology GmbH Berlin from 2000 to 2002, with the main focus on JPEG 2000. Moved back to the Matheon Research Center of the TU Berlin in 2002. External Contractor of Pegasus Imaging (now Accusoft, in Tampa, FL) and member of ISO SC29WG1 (JPEG) since 2003. From 2006 to 2007 at the Multimedia Department of the TU Berlin. Moved to the Media Department of the Computing Center of the University of Stuttgart in 2007. Research interests are image compression and signal coding, in specific objective evaluation of image quality on one hand, and development and deployment of virtual and remote laboratories for student education at the other hand.